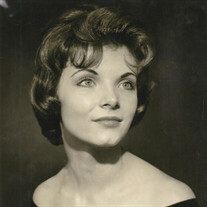 Carolyn Ann Ritley, 76, (nee Zamiska) beloved wife of Charles R. Ritley; mother of Charles W. Ritley, Richard A. Ritley and Meredith A. Ritley Foltarz; sister of Patricia McParland, grandmother to eight, Charles M. Ritley II, Kristin Ritley, Steven Ritley, Natasha Anderson, Audrey Ritley, Sarah Ritley, Matthew Ritley and Robin Ritley, passed away on January 5, 2018 while in hospice. She was a great storyteller and always had a warm welcome for anyone who came into her hospital room or into her life. Carolyn loved to laugh and had a kind heart. She struggled with her illness for many years and fought to the end. A Mass of Christian Burial will be held at The Church of St. Dominic, 19000 Van Aken Blvd. (at Norwood), Shaker Heights, OH 44122 on Friday, January 12th at 10:30 AM. FRIENDS MAY CALL AT BROWN-FORWARD, 17022 CHAGRIN BLVD., SHAKER HEIGHTS, OH 44120 FROM 3-5 PM AND 7-9 PM on THURSDAY, JANUARY 11th. Private family interment at Lake View Cemetery.